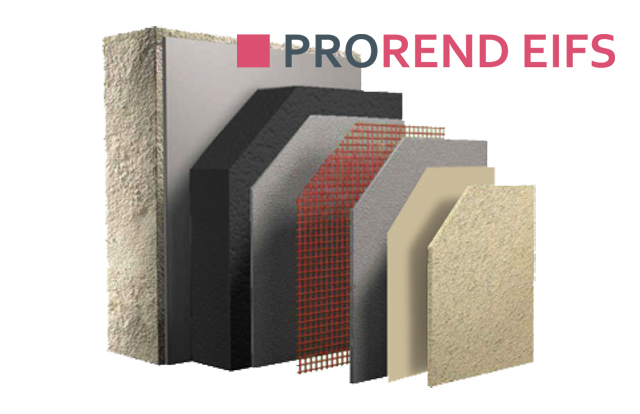 ProRend External Insulation Finishing System (EIFS) is a complete render solution. Available in two primary construction methods: Adhesive (with secondary mechanical fixings; suitable for uneven substrates and curved walls using mineral wool lamella), and U-PVC rail (which mechanically holds the edges of the insulation; suitable for uneven substrates). U-value can be as low as 0.10 W/m²K (using 250 mm EPS). Size: 1000 x 500 mm.